A portfolio assessment is a collection of student works that are associated with standards you are required to learn. This collection of work is often gathered over a long period of time to reflect what you have been taught as well as what you have learned. Each piece in the portfolio is selected because it is an authentic representation of what you have learned and is meant to demonstrate your current knowledge and skills. A portfolio by nature is a storybook capturing a student's progression of learning as they move through the year. A portfolio can include classwork, artistic pieces, photographs, and a variety of other media all demonstrating the concepts that you have mastered. Each item that is selected to go in the portfolio is chosen within the parameters of the purpose of the portfolio itself. Many teachers require their students to write a reflection that correlates with each piece in the portfolio. This practice is advantageous for the student as they self-assess their work and may set goals to improve. Finally, the reflection helps reinforce the concept for the student and it provides some clarity for anyone reviewing the portfolio. Ultimately, the most authentic portfolios are built when the teacher and student work collaboratively to decide which pieces should be included to demonstrate mastery of a specific learning objective. A portfolio assessment is often deemed an authentic form of assessment because it includes authentic samples of a student's work. Many advocates of the portfolio assessment argue that this makes it a superior assessment tool because it is demonstrates learning and growth over an extended period of time. They believe it is more indicative of what a student's true abilities especially when you compare it to a standardized test that provides a snapshot of what a student can do on a particular day. Ultimately, the teacher guiding the portfolio process helps determine the purpose of the final portfolio. 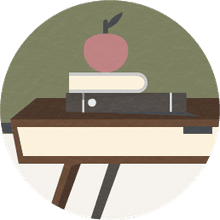 The portfolio may be used to show growth over time, it may be used to promote a student's abilities, or it may be used to evaluate a student's learning within a specific course. Its purpose may also be a combination of all three areas. A portfolio assessment demonstrates learning over the course of time rather than what a student knows a particular day. A portfolio assessment provides an opportunity for a student to reflect on their learning, to self assess, and to formulate a deeper understanding of the concepts they are learning beyond a simple surface explanation. A portfolio assessment requires a great level of individual interaction between the student and teacher wherein they are always collaborating about the requirements and components going into the portfolio. Developing and assessing a portfolio is time-consuming. It takes a lot of effort from both the teacher and the student and is a demanding endeavor in which you can quickly fall behind. Portfolio assessments are very subjective in nature. Even if the teacher utilizes a rubric, the individualized nature of a portfolio makes it difficult to remain objective and stick to the rubric. Two students working on the same learning standard may have two totally different approaches thus learning may not be the same.